Why do you need a wallet? Looking back at 2017, it’s been a good year for digital currencies. Just take a look at the rising price of Bitcoin and all the new shiny digital altcoins, which have appeared. While some people are still skeptical and untrusting, a lot of people are taking a long, hard look at altcoins and bitcoins and seeing a lot of potentials there. The fact that some countries not only support Bitcoin but think about introducing their own digital coins makes it clear that bitcoins and altcoins are not going to disappear overnight like a “pyramid.” However, since the popularity of these currencies has gone through the roof, people who owned them have to take serious measures to protect their investment. But how can you do this, when your money exists virtually? Well, the best way is to use a hardware wallet. And that’s what we’re going to talk about today. I’m going to introduce to you the five best hardware wallets to store bitcoins and altcoins and talk about their pros and cons. But first, let’s see what a Bitcoin wallet is and what you should know about it. Let’s start simple. To buy things with Bitcoins or altcoins, you need a wallet. Now, you’re probably imagining a big leathery wallet, like the one you use to keep banknotes and credit cards. Bitcoins wallets look nothing like an ordinary wallet. They are more like an online bank account. You see, you can’t physically remove a block from the Bitcoin blockchain, which means that you can’t really store it in a wallet. So the purpose of these wallets is to store the private keys – secure digital codes which act as a proof of ownership and ensure that you’re the owner of the corresponding public key. For example, someone sends you Bitcoins and encrypts them with your public key. You’re the only one who can decrypt them by using your private key. Then you encrypt bitcoins and send them to your friend. He uses your public key to decrypt them, which serves as a proof that the bitcoins are coming from you. As you can see, private keys important because if someone gets a hold of them, he can steal your money or spend them. That’s why it’s utterly important that you keep your private keys as safe as possible. ​Hackers, which might hack into your account and steal your money. ​Exchanges might get shut down for maintenance or get attacked by hackers or the authorities, and you won’t have access to your coins. ​You’re not the one in control of your digital currency, and you must trust the website to keep them secure. Hardware wallets are physical devices which you plug into your computer, phone, laptop, and tablet. What’s great about them is that they keep your keys away from vulnerable internet-connected devices and protect them in an offline environment. That’s why even if you connect a hardware wallet to a computer infected with malware, it won’t compromise your data and key. If someone wants your Bitcoin, he would have to steal the hardware wallet. But even if that happens, the device is protected by a PIN code, known only to you. What’s more, in most cases there is a secure password you can use to restore your coins. The bad news is that all hardware wallets are paid ones, and they’re not very cheap. On the other hand, software wallets are free but not as secure as hardware ones. Desktop wallets store your keys on your desktop, but if your hard disk gets compromised, you’ll lose your coin. The same will happen if you get infected with malware. Online wallets also store your keys on the wallet’s website, which means you’re not in control of it. You have to thrust the company and their security measures. Mobile wallets are also a security risk, even though they are very convenient because you can use them everywhere. Paper wallets are pieces of paper, which contain a cryptocurrency address and a private key. You access them through a QR code so that your private keys are not connected to the Internet, which is the good thing. Moreover, they are cheaper than hardware ones and more secure than software wallets. However, they are not as user-friendly, and if you lose or misplace the paper, you lose your money. ​Your private keys and recovery phrases are generated offline. ​They are immune to computer viruses, and they are well-encrypted. ​You’re the only one responsible for keeping your wallet safe. You can restore your account even if the device gets stolen or damaged. The software is open sourced. 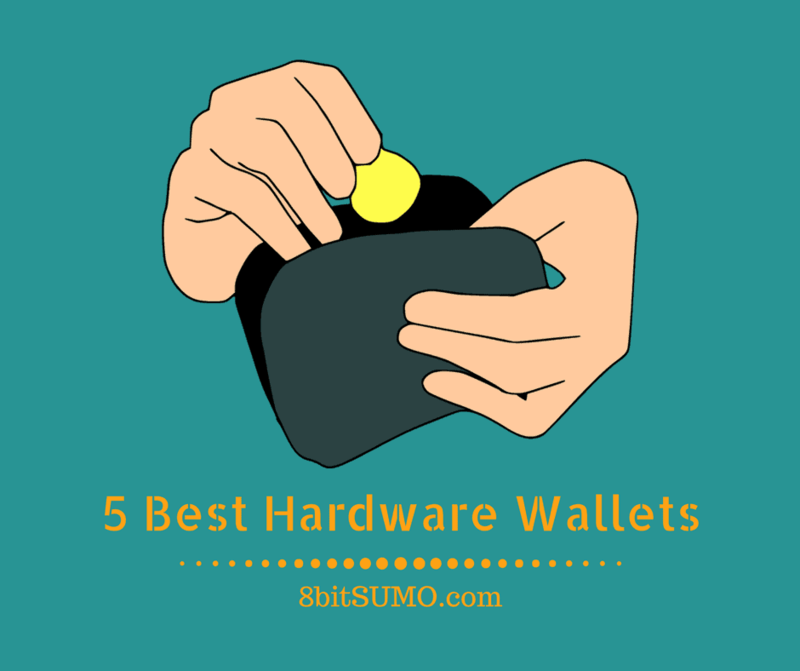 Now, let’s take a look at the best five hardware wallets. At first glance, Ledger Nano S looks like an ordinary USB device, but it’s much more. The Ledger Nano S uses dual chip architecture, and strict cryptographic measures to guarantee integrity and security. It stores your private keys in a well- isolated environment, protected by a PIN code, which you’ll create during setup. 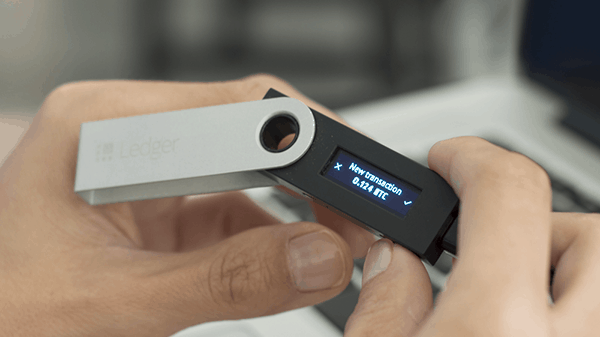 The Ledger hardware wallet has a user-friendly design with a screen, which displays your recovery phrase. This is great because it adds another layer of security, and it’s easy to verify the sender and the amount. What’s more, the device has two buttons, which you have to press simultaneously to confirm a payment. This means that a hacker can’t hack into the Ledger and steal your coins. Ledger Nano S supports all the major ‘big’ coins like Bitcoin and Litecoin, but it also supports altcoin. So you can store different assets in the same wallet. In addition to this, Ledger Nano S has a recover sheet to make it easy for you to write down the recovery phrase. However, unlike other hardware wallets, it doesn’t allow you to add your own passphrase to the 24th–word string as a precaution in case the recover sheet gets stolen. Another excellent thing is that you can set up the device without plugging into a computer and you can download the Ledger application for Chrome. What’s important is that the Ledger can run on compatible wallets’ apps, so even if the company stops upgrading or developing the software, you can still use the device. 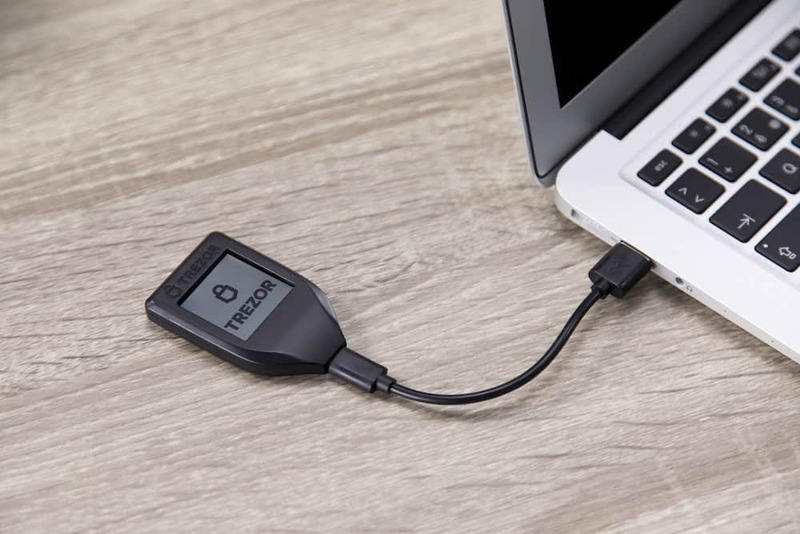 Trezor is a hardware wallet, which offers a high level of security because it uses the most advanced standards in cryptography. It’s also inconspicuous and so small that you can attach it to your keychain, around your wrist or hide it around the house. It comes with a short USB cable, which you can use to connect it to your computer, laptop, or mobile phone if it has a USB port. Just like the Ledger, Trezor has a screen and buttons for confirming payment details, and you have to push the button to make a transaction. That prevents hackers from initiating payment by hacking the device, and in case of theft, no one can authorize payment without your PIN code. The design is user-friendly, and it’s not difficult to set it up, even if you don’t have a lot of experience with Bitcoin wallets. What’s more, Trezor generates your recovery phrase offline, and it’s never exposed to the Internet, which means that no one knows it but you. In addition to this, you can add a passphrase – a 25thword for maximum security. However, if you forget your word, you won’t be able to restore your wallet in case it gets damaged. What’s also excellent about Trezor is that it supports Bitcoins, Litecoins, Etherium, and several altcoins, and it’s compatible with several wallet applications, including Mycelium and Electrum. It works both on Chrome and Firefox, but you might have problems with other browsers. The only disadvantage of this handy device is that it’s expensive, but it’s an excellent investment if you want maximum security for your transactions. Another top-notched hardware wallet that offers excellent protecting is KeepKey. Its main advantage is the large display which allows you to read the transaction information easily and see every detail clearly. It has a user-friendly design with a simple set-up. Moreover, the manufacturer has an instructional video to show you how to set it up. 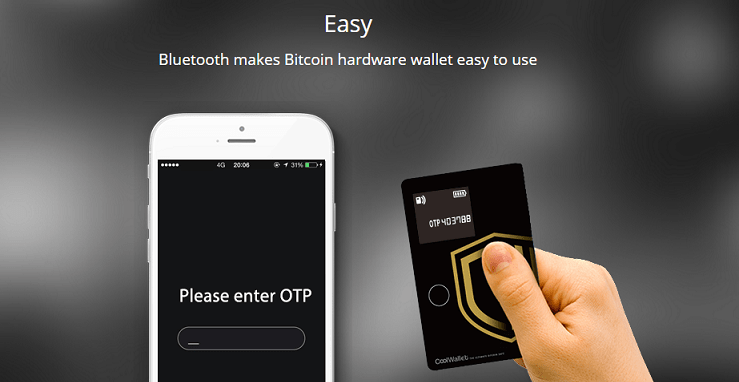 As other hardware wallets, KeepKey keeps your private key offline and requires a PIN code to operate so you shouldn’t worry even if it falls into the wrong hands. Moreover, you can restore your account as long as you keep your 12-word long seed, generated offline during set-up. However, you’ll see these words only once so make sure to copy them correctly and that you don’t lose them. If you’re worried that 12 words aren’t enough to keep your device secure, you have two more options at your disposal – 18 or 24-word long recovery seed. Another excellent thing about KeepKey is that it supports Bitcoins and other altcoins, and it will be adding more in the future. Moreover, it works on Windows, Linux, Mac, and Android, and it’s completely virus and malware-proofed because everything is stored offline. In addition to this, KeepKey is compatible with other wallets besides the KeepKey Chrome extension like Electrum, MultiBit, and Mycelium. And if we have to compare KeepKey and Trezor, the main difference would be that KeepKey is made of aluminum, while Trezor is plastic. 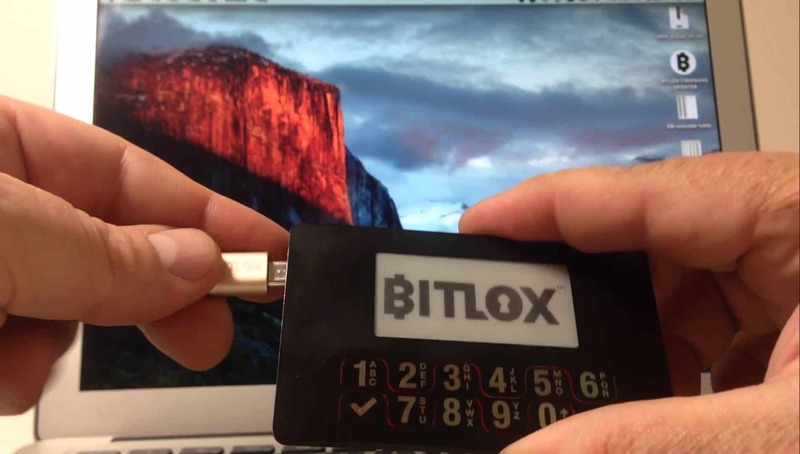 If you’re worried about your Bitcoins and you want maximum security, you can take a look at this BitLox hardware wallet. It has some distinctive features like the ability to create over 100 wallets, including hidden ones, which will be known only to you. Moreover, the wallet supports several languages, and you can even use it with the TOR network. Another great thing about this product is that you can set PIN codes for transactions, a wallet PIN, and a device PIN. Moreover, you can set a special recognition phrase to make sure that someone hasn’t swapped your device for a fake one. You can also choose an emergency PIN, which will delete all the data. 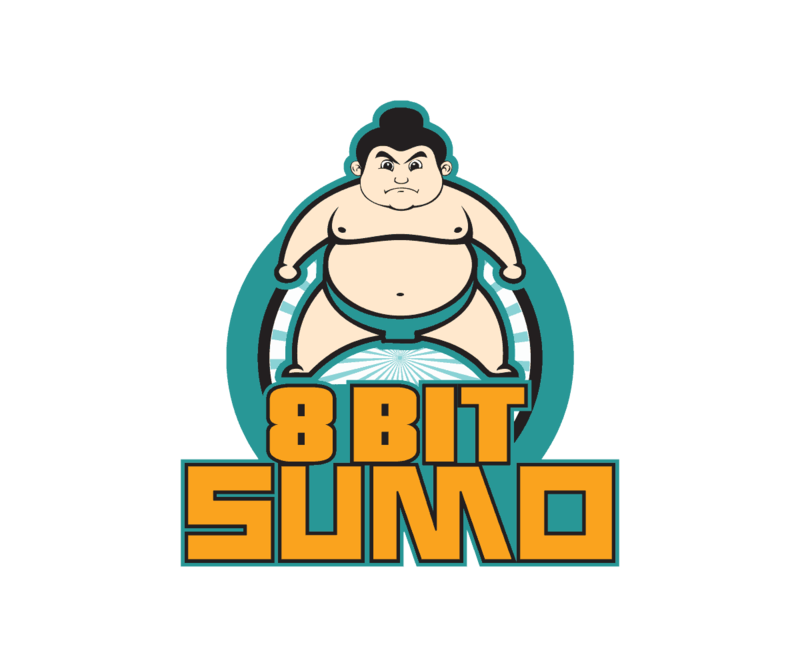 In addition to this, BitLox​ has a full alphanumeric keypad and a mnemonic backup with 12, 18, or 24-word seed to recover your coins in case the devices gets damaged or stolen. BitLox also calculates all transaction fees and displays them, and it comes with a fine leather protection case. However, the main disadvantage of BitLox is that it’s suitable for Bitcoins only at the moment and that it’s more expensive than other hardware wallets. Moreover, the many features of the device make using it a bit more complicated than others, and it might take you awhile to figure things out. In addition to this, when we take a look at the BitLox website it’s not as well-designed as others, but the product is open sourced, and you can check the coding. CoolBitX is a credit-card-size Bluetooth device, which is secure, functional, and inconspicuous. You can carry it easily in your leather wallet with the rest of your credit cards, and no one will suspect a thing. Moreover, the device has a screen so you can review the transaction details before making a payment. And it works with any device which has a Bluetooth. Just like the other hardware wallets, you can create a recovery seed with words or numbers and write them down in a recovery sheet provided by the manufacturer. Moreover, the device runs on a battery, and it comes with a recharger. CoolBitX also has a circle, which is actually a clickable button to operate the card. The design is not as user-friendly, and installation might be tricky if you haven’t used a hardware wallet before. In addition to this, CoolBitX supports Bitcoins at the moment, so you can’t use it for altcoins. One of the biggest concerns here is that the company is still gaining reputation and its wallets are not compatible with other hardware wallets’ seeds. Moreover, the website doesn’t provide enough information about the product or the people behind it. If you’re willing to spend more, Trezor will be my second choice mainly because it allows you to add your own passphrase for extra protection. One final notice, always buy your hardware wallets from the seller or Amazon, don’t buy from eBay. You can’t be sure whether the device hasn’t been tampered with or if it’s brand new. If the package is damaged, you should contact the seller immediately. And don’t forget to write down your recovery seed at least two times to make sure that there are no mistakes. Since digital currencies are gaining momentum, we might expect that hackers would improve their game soon and become more creative when it comes to stealing digital money. So, hardware wallets are a necessity to keep Bitcoins and altcoins safe and away from Internet-connected devices.